I will be adding more of these and hope to add Russian archival material soon. If you have sources you'd like to link us to, please use the Contact form to direct the AGD research team to such archival material. Be aware that not all suggestions will be followed as this information must be verified by the actual archives of respected nations before it can be added. What we are interested in, is the true story of what happened in 1915, this can sometimes involve evidence material that presents the guilt of Ottomans in World War I, and we won't hesitate to add such material if you send it to us. 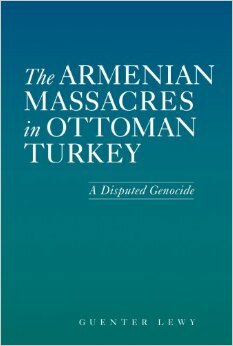 So to some of our Armenian readers who believe strongly that Ottomans mistreated Armenians are free to submit their archival material as well. As a World War I and Ottoman historian, I am extremely busy with multiple historical projects so that is why my limited time becomes an obstacle when updating these archival pages. Armenian-Turkish relations in World War I and Ottoman history is only a small fraction of the many historical events that transpired and that is why I cannot update such material very often. As always, if you have articles that you want to contribute to ArmenianGenocideDebate.com, feel free to use the Contact form to send it to us for peer-review. We do not publish articles that do not present the facts and do not contain well-researched and well-written historical information, so please do not expect your article to be published unless it is of a very high standard and quality. Great job on the sources. It's always interesting to find new accounts of 1915 by actual foreign diplomats. It's sad that many people base their opinions on eye-witness testimony rather than official government documentation. I'm anticipating great documents for the Russian sources, but I understand they are harder to attain / verify. I believe someone has a book based on Russian sources too, you may want to check that. But is official government statements always reliable? Couldn't they rewrite history, especially if they were allies during a war? Legitimate question, not trying to question people. Yes, officials could try to rewrite history, and sometimes they do. Sometimes they try to write history while it is happening and use propaganda to create nationalistic feelings against their enemies. German Consul Walter Rossler however, was not very pleasant when speaking to the German government about the Turks. If you read some of his writings however, you can see that while the Germans are allied with the Ottoman Turks, not all of them think highly of the Turks. So you can rest assured that Rossler is trying to be as accurate as possible to the German government, to make sure they are informed and make the right decisions. After World War I, there is no reason/benefit to aid the Turks/Ottomans in any way, for Germany, so I don't think you can argue that the Germans might rewrite history to make the Ottomans look good. There's no benefit to that. And after the shame of the Nazi Holocaust, I don't think Ottoman history was really given much thought in Germany anyway. So I think it would be logical to find the German archives pretty reliable.